With the unemployment rate in the US being the lowest it’s been in 18 years, it is no surprise that employers are having a hard time finding candidates, let alone the right ones for the job. There are simply more job openings than there are people looking for work. Employers are fishing from the same pool of candidates, leaving the job seeker with choices. Your message needs to standout or will quickly be passed over without another thought. What makes your company a great place to work? Does the public know about these things? If not, you’re missing an opportunity to build your recruitment brand so when that perfect candidate is ready, you are the place to go! A few things to consider for your messaging - Have you been voted a top workplace by a well-known magazine? Do you offer flexible schedules or allow your employees to work from home? Do you have a killer office with ping pong and scooters? It is no longer enough to taught that you offer medical benefits, so does everyone else. Think outside the box. Now that your thinking about what keeps you coming back day after day, how are you going to get that message out? It is imperative for companies today to have a strategic approach when going about their hiring. Gone are the days of putting a want ad in the paper and having a line around the door of applicants with a resume in hand. Recruiters need to be savvy and be able to reach not only active job seekers, but also get in front of passive seekers who may not even realize they are in the market for a new job or career. 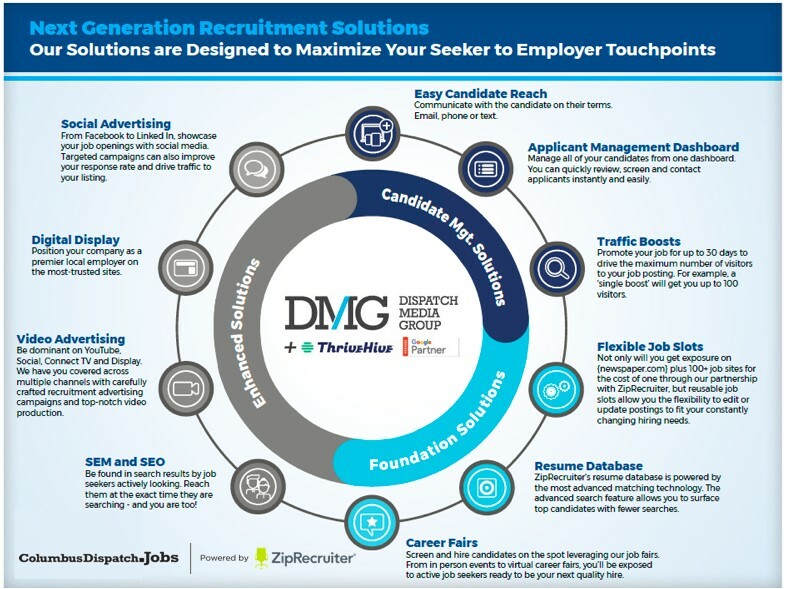 Dispatch Media Group (DMG) offers tried and true techniques to build out targeted strategic campaigns, allowing you to reach both active and passive candidates where they are with an intriguing message to help attract the talent you so desperately need. Check out the chart below for some insights on having multiple touch-points out at all times and let us know how we can help you! 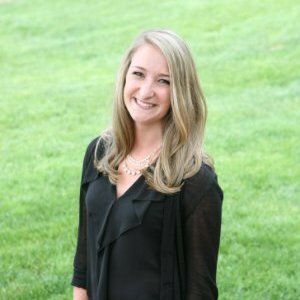 My mission as a Senior Digital Specialist at DMG+ThriveHive is to get to know my client’s business goals as if I am part of their team. I strive to build relationships with each one through trust, knowledge and expertise within the industry to allow each business to focus on their passion, while I focus on mine, working to achieve a common goal. I will help you reach the right audience, at the right time, with the right message where they are already spending time. What are you waiting for? Contact me today to learn how I can help build a strategy to meet your goals by utilizing custom solutions that are right for you. I look forward to working with you and the partnership we will develop!